So, ladies, what’s in your “bridal” clutch bags? Finding out what’s in the other person’s clutch bag (or cosmetics bag) is always fun and exciting. 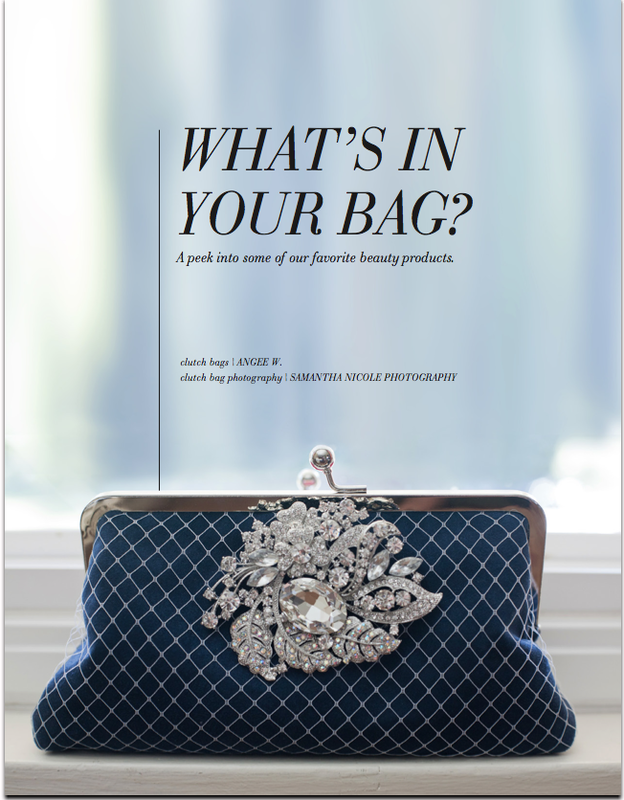 In this issue of Utterly Engaged, read about the hottest beauty products that the ladies at UE are raving about. As they had a pick at their favourite ANGEE W. clutches, this issue also features a beautiful wedding at the Guastavino in New York, “gilded” wedding cakes, a handful of gorgeous lace bridal gowns form a romantic’s dream!